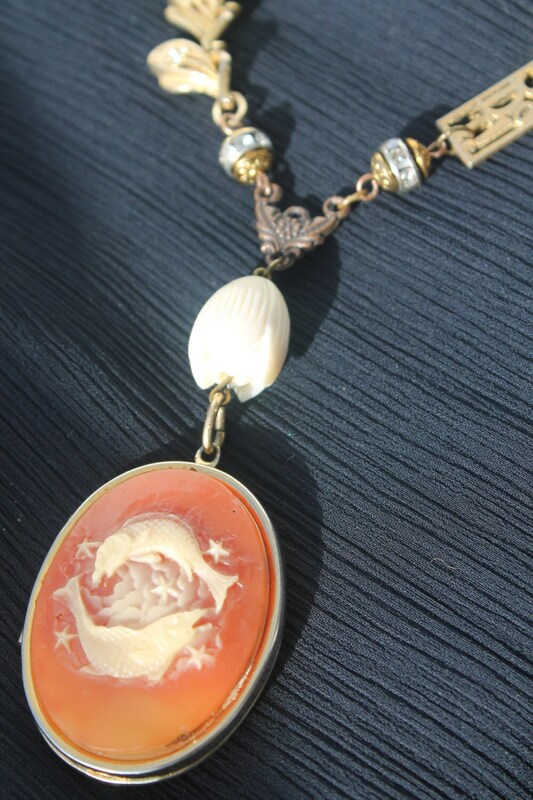 Vintage Gold metal Hand carved Real Shell Locket assemblage necklace features a vintage Locket as the centerpiece. 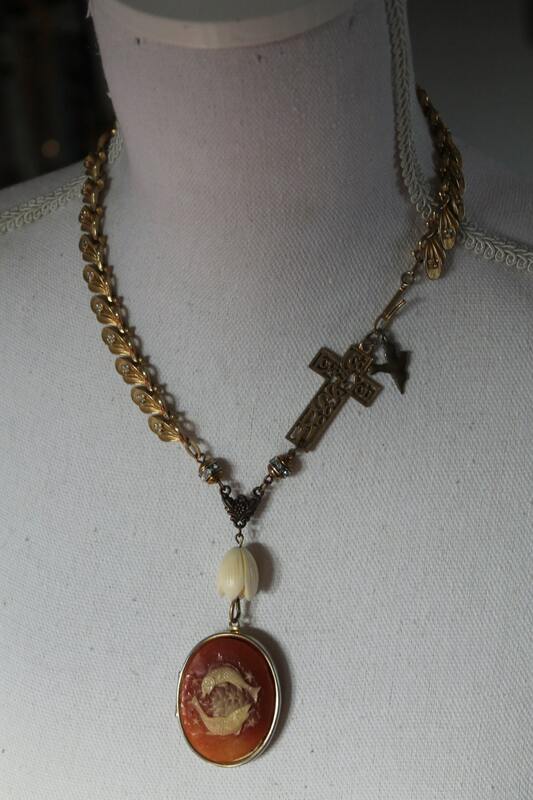 Necklace is assembled with the Vintage hand carved bone flower, vintage religious connector, bronze beads and rhinestone rondelles, Vintage cross, charm and the main element is old gold plated necklace. 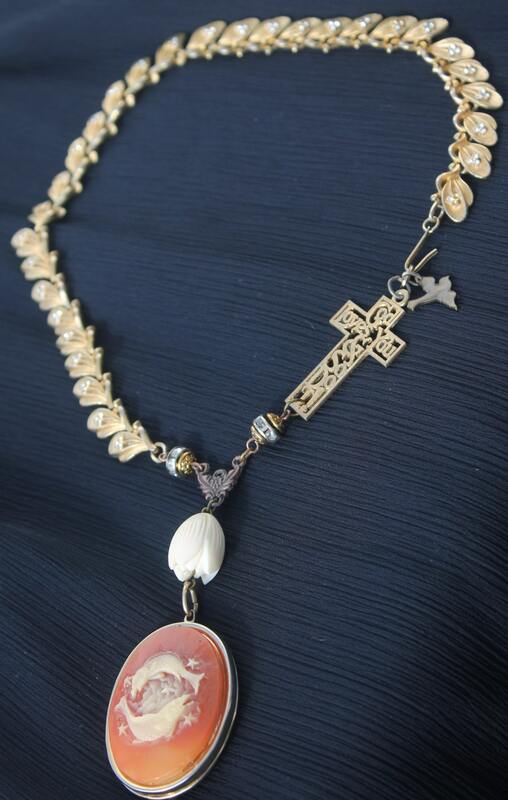 The necklace is slightly asymmetrical, whimsical and highly unusual. 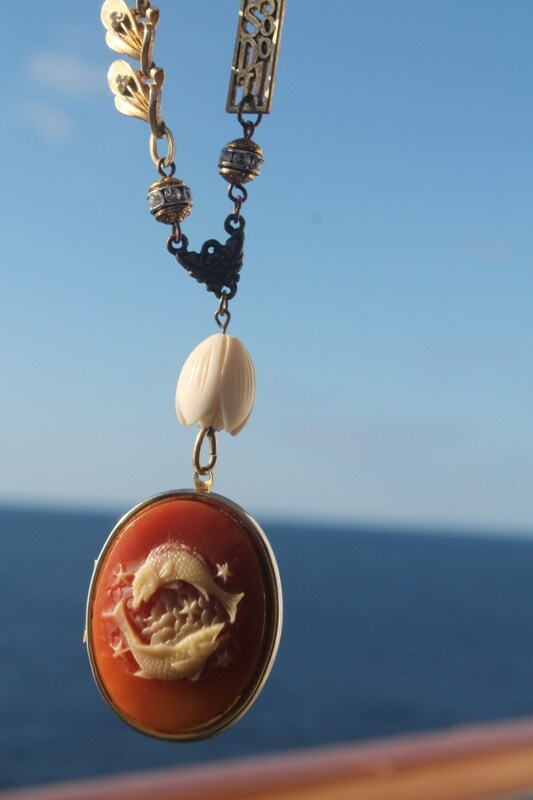 Definitely one of a kind wearable art. 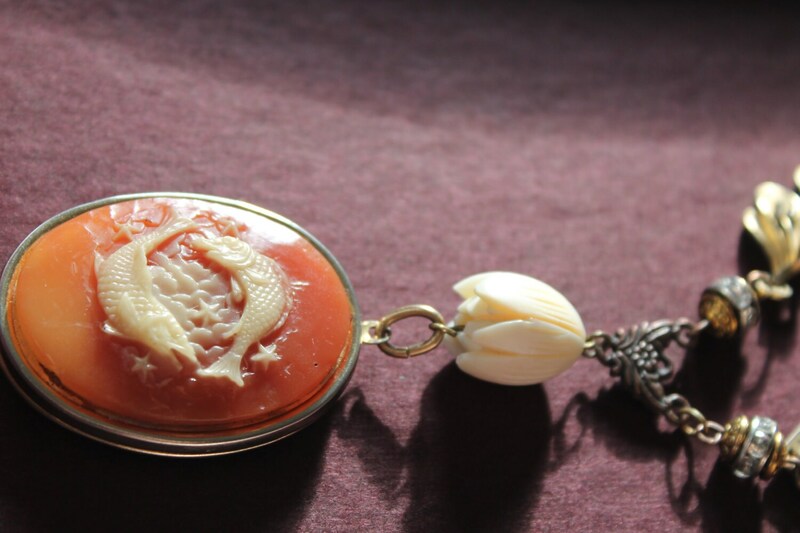 The necklace is 18" long, Pendant drops 3 1/2" down, Locket is fully functional locket 2" by 11/2"